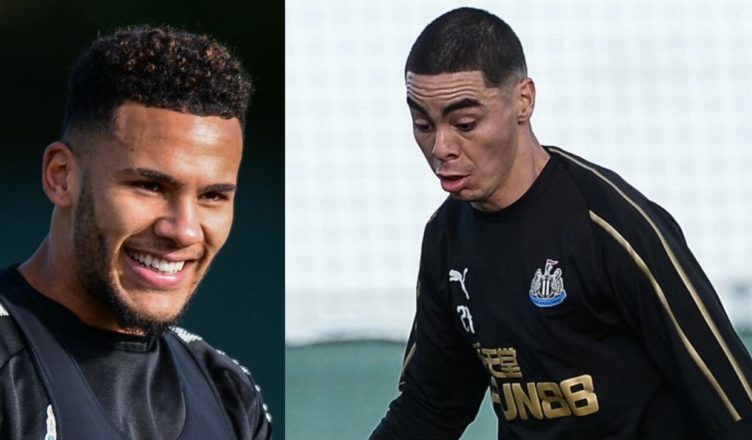 Jamaal Lascelles reveals what he’s noticed about Miguel Almiron while training in Spain – Great to hear – NUFC blog – Newcastle United blog – NUFC Fixtures, News and Forum. Jamaal Lascelles has praised NUFC new boy Miguel Almiron, saying he can already tell he’s a ‘nice lad’ and looks ‘really sharp’ in training – believing he has settled in ‘really well’ already. This is great to hear from the skipper, with it sounding as though the Paraguayan has impressed his new teammates immediately both on and off the pitch. “Since he has been in you can tell he is a nice lad. He is really sharp in training and is settling in really well. It’s fair to say he’s had a very positive start to life at Newcastle United – with Almiron impressing in his first press conference at St James’, looking a real live wire during his late cameo at Wolves, catching the eye in training and having the players in kinks during his initiation song last night! Let’s hope that can continue during Saturday’s friendly with CSKA and into next week ahead of our crucial home game against Huddersfield. 🇪🇸 NUFC TV caught up with skipper @Lascelles16 on the third day of Newcastle United's warm weather training camp in Spain.